Xiaomi is a privately owned Chinese company that is involved in designing, developing and selling smartphones. The company is also into manufacturing an Android-based Operating System, and other consumer electronics. The smartphone giant also sells TVs, tablets, air purifiers and fitness trackers. It also has the MIUI, the skin for its Android tablets and smartphones. Xiaomi has emerged as one of the leaders in the Indian smartphone market. It has managed to crash the competition with the launch of mobile phones with premium features at affordable prices. The company launches many smartphones positioned in different segments and prices. It is to tackle the ever-growing competition in the Indian market. One of the recent launches of Xiaomi in India was the Redmi 5 smartphone. The Redmi 5 has been one of the significant successes of the company in the recent past. Let us provide you with some inputs about the Redmi 5 features that will help you make a buying decision if you were looking to buy a smartphone. 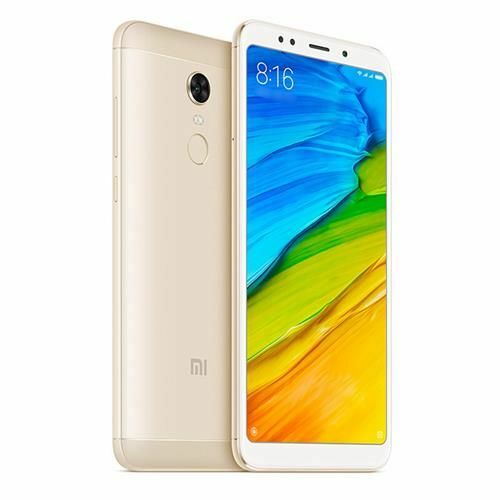 Are Redmi 5 specifications good enough? Xiaomi was probably the first company in India to launch the 18:9 full view display screen in the budget category. The Redmi 5 features a bigger, larger and better 5.7-inch HD+ display. The 18:9 makes the phone’s screen look taller. As a result, you can now easily watch movies, videos, surf the web, play games and do more on a better screen. The better viewing angles give the phone a unique look. Overall, the large display looks beautiful and nice to operate with one hand. The design and build quality, along with overall fit and finish, are remarkable for a mobile phone at the budget level. The only issue that you may have that the ring around the rear camera is too scratchy. Otherwise, it is a fine phone to hold and operate, striking a nice balance between portability and screen size. The Redmi 5 specifications for the camera are 12MP in the rear and a 5MP in the front. The camera also comes with many enhancement modes to make your photos looks even more beautiful. Overall, the camera on the Redmi 5 is good, but not great, and this is where most of the budget phones seem to stumble. Nonetheless, the clicked photos’ quality looks sharper on phone’s large screen than on a large monitor. Photos taken during the day may appear a bit grainy; object’s edges could be rough. The ‘Smart Beautification’ is on by default when you shoot selfies, and they are better than the noisy photos otherwise clicked. Even shots taken during the night may appear grainy and even blurred. The Redmi 5 features 3GB RAM and is powered by the Qualcomm Snapdragon 450 processor. The combo makes it good for the users of the phone to get awesome performance. There are no lags when you switch between apps and play games. You can also experience no overheating issues even when you watch videos, movies and other content for long. The internal space of up to 32GB is fine to store your apps, movies, music, videos, documents and other content. If you don’t see it enough for you, you can also expand it up to 128GB via a microSD card. The battery capacity of the Redmi 5 mobile phone is 3300mAh. It works fine to deliver a day’s of power to enjoy all multitasking with ease. The phone comes without fast charging technology. Redmi 5 packs a punch right from the design to display to the camera to battery and performance. It is one of the best budget smartphones that you can buy. Bajaj Finserv EMI Network presents the No Cost EMI facility to help you buy the phone by dividing the cost into a tenor into EMIs. Other than paying the exact EMI amount per month, you need not pay anything extra. Hence, you can grab amazing savings. Submit your KYC documents along with a cancelled cheque at a local store to get quick financing even if you don’t have an EMI Network Card. In India, there are 60,000+ partner stores registered on the Bajaj Finserv EMI Network in over 1,300+ cities to help you shop on No Cost EMI with ease. Bajaj Finserv has pre-approved offers on financial products like personal loans, financing on products, home loans, and more. These offers make your loan application process easy and less time-consuming. You can also check out your pre-approved loan deals by sharing your key details such as your name and phone number.